Its been over a year since I last posted. Most agencies have altered their service for fill stations while many of the major players are still in the game. There are 17 of 28 agencies open. As of my last update, I have removed tracking of fill station hours but still maintain which agencies are providing free recycled water to their rate payers. Given the fact that California Governor has not declared the state to be in a drought situation is the main reason why many agencies who closed their costly fill stations have not re-opened them. 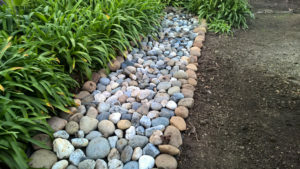 Plus, there are plenty of programs available to encourage residents to remove their water hungry landscapes and replace them with more drought tolerant plantings. 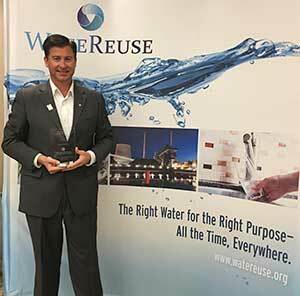 Dublin Mayor David Haubert accepts the Recycled Water Customer of the Year Award, which recognizes the city’s extensive use and strong support of recycled water, from WateReuse California on March 20, 2017. It has been a wet winter. Over 40″ of rain has fallen at my home since October 1, 2016. 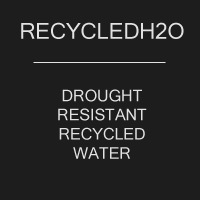 On my quarter acre lot, that accounts for approximately 268,000 gallons of water, or enough to sustain my needs for 3-6 years (daily use averaging between 118 and 213 gallons per day). 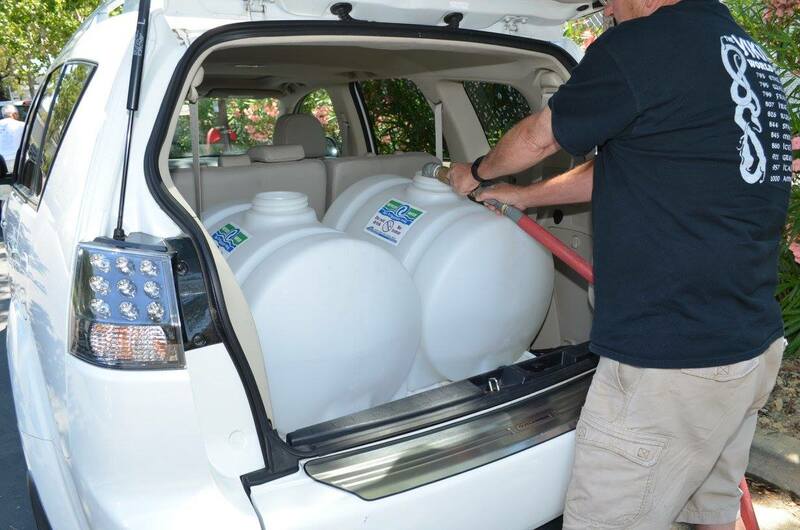 Note: one inch of water on a square foot of land is 0.623 gallons. 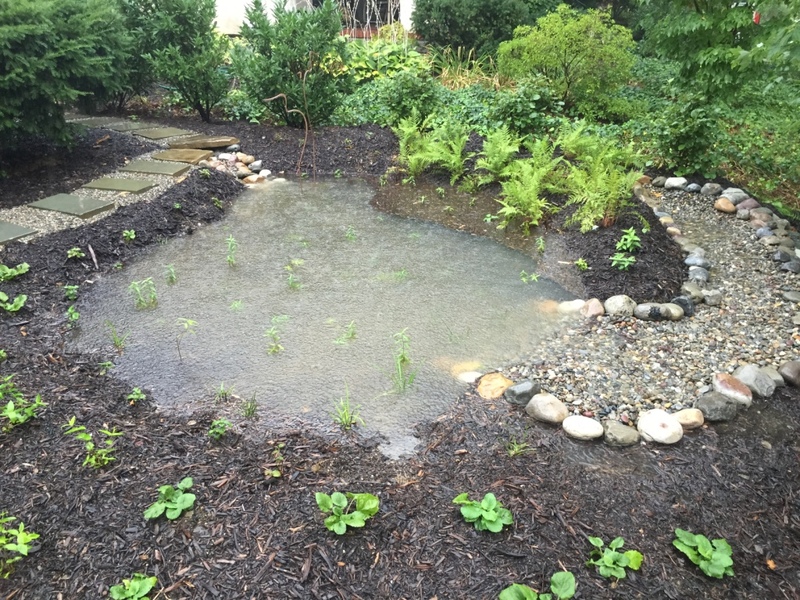 By installing a swale and a rainwater infiltration trench in my front yard, I am planting rain. Take it from the experts, despite epic rainfalls with feet of water falling from “Atmospheric Rivers” the west coasts’ equivalent to a hurricane, parts of California will still have to conserve water. 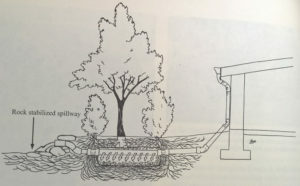 In short, an infiltration trench is a trough in the ground for water to flow into for the purpose of recharging the water table and to provide precious moisture to plants and trees in the area. 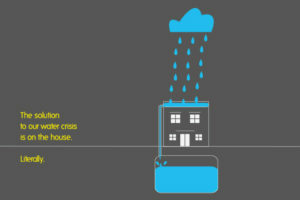 It is with a built with a passive overflow to reduce ponding and flooding on the property. Depending on available space and proximity to building structures can determine the size and available free volume for the infiltration trench to hold. In our complete guide to building an infiltration trench, we’ll show you a thorough 6-step process of how to design an infiltration trench, where to build it, how to build it and what to fill it with. Finally we’ll show you a way to make it pretty in the landscape. 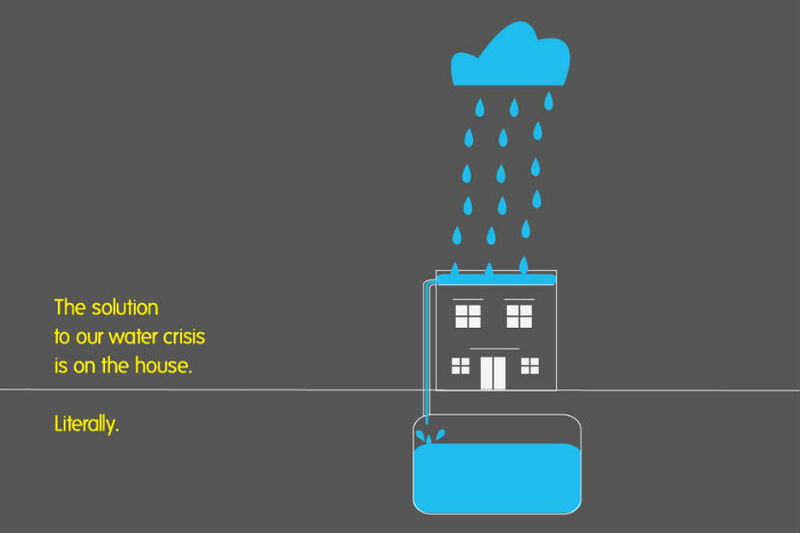 We get it, one of the biggest reasons most people don’t install rainwater harvesting systems is they can be ugly. 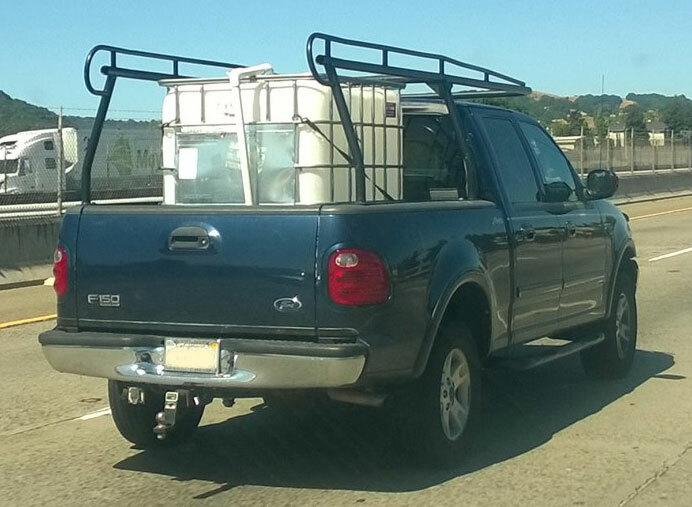 Who wants a blue barrel or a caged plastic cubed tank in their yard? I wouldn’t mind it, but my wife would go ballistic. This is why putting in an underground rainwater harvesting system like an infiltration basin is so easy because you can put whatever you want on top of it. Win win! 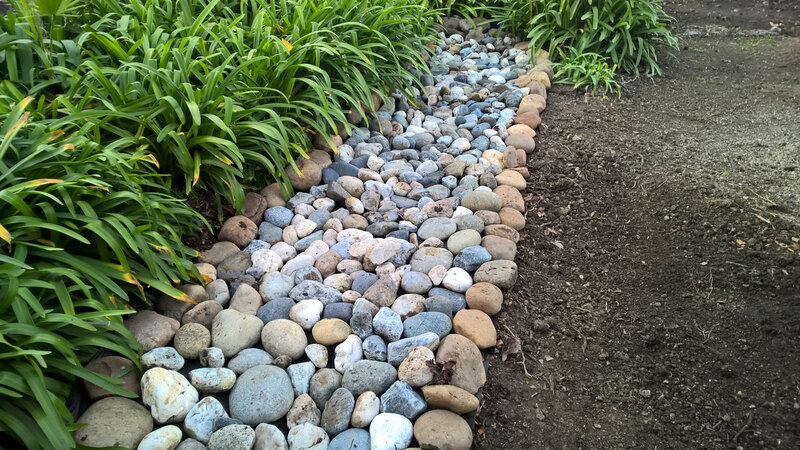 For the last installment for this series, I’ll show you how easy it is to “beautify” an infiltration trench. The installation part of my infiltration trench took about an hour. 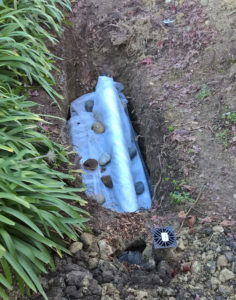 Compared to the testing, designing, researching, site preparation and digging phase of the project, installing the AquaBlox was the easiest and quickest part of the entire project. This is the second to last article in this “infiltration trench” series but it is the most important. Read on to see how to install two large AquaBlox and get the most out of the rainwater that falls on your roof. 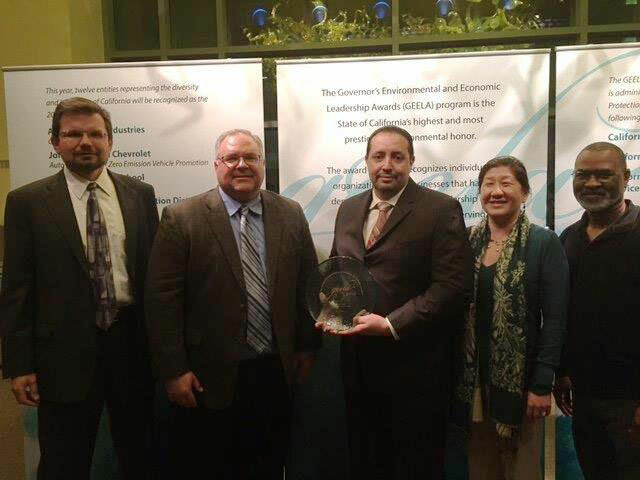 Delta Diablo, a Water Resource Recovery Leader in eastern Contra Costa County was honored in Sacramento last night with a prestigious 2016 Governor’s Environmental and Economic Leadership Award (GEELA). GEELA is California’s highest environmental honor, administered by the California Environmental Protection Agency (CalEPA). The program recognizes individuals, organizations, and businesses who have demonstrated exceptional leadership and made notable, voluntary contributions in conserving California’s precious resources, protecting and enhancing our environment, building public-private partnerships and strengthening the state’s economy. As a followup from our site preparation post, lets focus on following our design for an infiltration trench and actually dig one in. We left off with having dug up a birch tree stump which should leave us with enough room to put the dirt from the trench. Start trench at least 10 feet from house foundation. 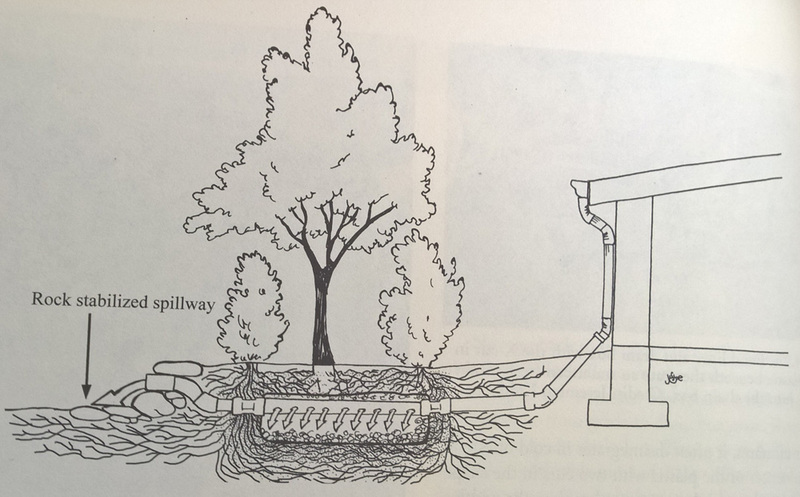 The infiltration trench is designed to allow rainwater from the roofs’ gutters to flow into an underground chamber and then overflow to the street. This will provide the rainwater from the roof a chance to percolate into the ground first before contributing to storm water runoff. 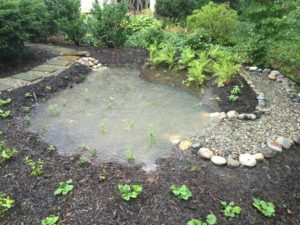 This example has been taken from “Capturing Urban Runoff At Home – Part 1“.